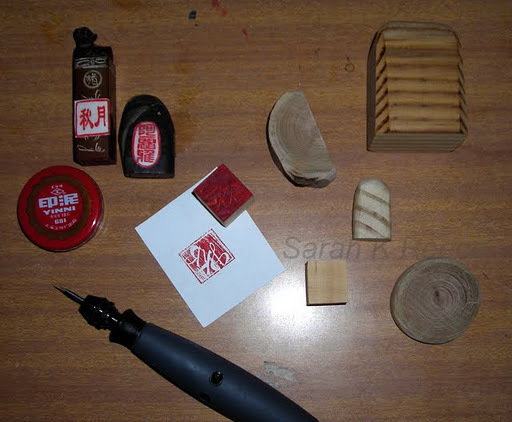 …you have to carve in reverse if you’re going to stamp with it! Whoops! I’m keen to try some more traditional carving in my next session, I’m thinking of trying to carve a little girl in a cloak. She appears in some of my paintings and as she’s a fairly simple shape I’m hoping she won’t be too complex or beyond my current skills.